After former Kerala Chief Minister Oommen Chandy claimed that he was blackmailed in the Kerala solar scam, police have recorded his statement. 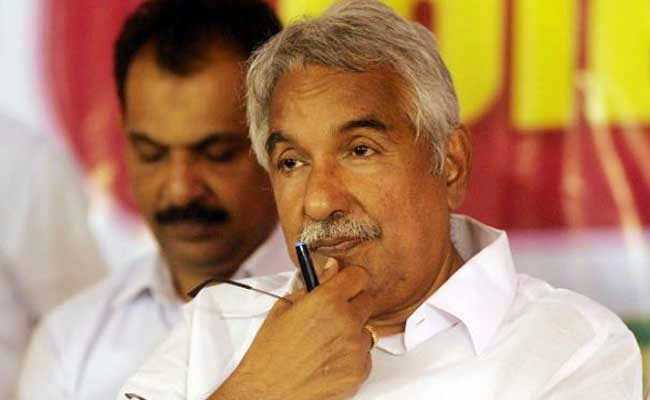 Kerala solar scam: Oommen Chandy claimed that he was blackmailed. After former Kerala Chief Minister Oommen Chandy claimed that he was blackmailed in the Kerala solar scam, police have recorded his statement based on BJP leader K Surendran's complaint on Mr Chandy's 'blackmail' remark. The multi-crore solar energy investment fraud dubbed as Kerala solar scam that rocked Mr Chandy's government in 2013 was led by Saritha Nair and her live-in partner Biju Radhakrishnan. It also came to light that a section of the Chief Minister's Office had links with the couple. The police, on Monday, had spent an hour with Oommen Chandy at his residence in connection with the Kerala solar scam, officials said on Tuesday. In 2013, Saritha Nair and Biju Radhakrishnan had allegedly duped several businessmen of crores of rupees by promising solar panels at cheap rates. They had got the contracts by claiming proximity to Mr Chandy. Amid protests by the opposition, the former chief minister had then directed a judicial commission to look into the allegations. Even as Mr Chandy was acquitted in the solar scam in October last year due to lack of evidence, Chief Minister Pinarayi Vijayan had ordered a vigilance case against him asserting that the probe report found that he allegedly helped the con couple. Mr Vijayan announced registering cases against Mr Chandy and a dozen senior Congress politicians, besides placing the report in the assembly at a special one-day session. Soon after the report was placed, Mr Chandy at a press conference claimed he had done no wrong. He also blurted out that he was subjected to 'blackmail' in the case. Mr Chandy later clarified the 'blackmail' was not done by a politician. Soon after this statement, Bharatiya Janata Party (BJP) leader K Surendran filed a complaint with the state police chief. Mr Surendran said he filed the complaint because the statement came from a former Chief Minister. "A Chief Minister is not an ordinary person and if someone is blackmailing him, it is a very serious crime," said Mr Surendran.